Our founders have led large sales and marketing teams internationally in leading multinationals and have also led large software development and maintenance efforts. We are a Microsoft BizSparkTMstartup. 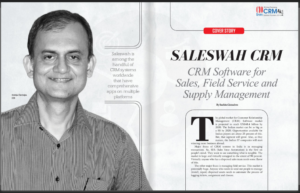 We made the top 10 of software products coming out of India in 2010 in the Nasscom®Emergeout Conclave, Bangalore with Salesgenie CRM++. Saleswah CRM is our flagship product: as sales managers, we always wanted a CRM software which we could use to manage transactions, processes, teams and opportunities. We wanted a CRM which proactively triggered us about opportunities, rather than expect us to do all the logging and tracking. Saleswah CRM is a suite of products – which enable sales, distribution and customer service. All our products are mobile and web based. Anindya Chatterjee – CEO (Linkedin |Twitter ) worked for Hewlett-Packard and Agilent Technologies- virtually all his life since getting a degree in Electronics Engineering from one of Indian Institutes of Technology in 1986 and an MBA from Indian Institute of Management at Calcutta, India. 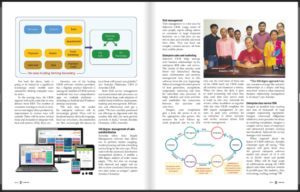 Anindya focuses on marketing, customer support and oversees the development team in Delhi. 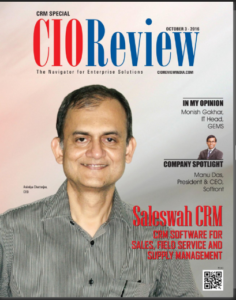 In his various sales and marketing roles across Asia for Hewlett-Packard and Agilent Technologies, Anindya acquired a ringside and even a firsthand view why CRM has a low adoption rate among all the enterprise tools that companies buy.